Serving the Harrisburg Community since 1969. We are a multicultural, multilingual, family friendly, community health care center in Harrisburg, Pa providing Medical, Dental, and Behavioral primary health care services to individuals, regardless of their income status. Adult Medicine, Dental Care, Pediatrics, Women's Health, WIC, & More. You will not be denied services based on your ability to pay. Keeping your appointment and being on time is very important. Patients who are 15 minutes late (10 minutes for a dental appointment), will be considered a “no-show”, and will need to reschedule their appointment. Patients with six (6) no shows during a twelve-month period for any service (or combination of services), will not be able to schedule appointments during the 12-month timeframe. Call (717) 232-9971 to cancel your appointment if you can’t to make it on time. At Hamilton Health Center we are always in the community or conduct in events at our facility. Listed below are some of the latest. Please join us! To improve the health of Central Pennsylvania’s residents by delivering high quality, respectful, and patient-centered health and related social services that promote access, treatment, education, and prevention regardless of health, economic, or insurance status. To be the premier family health care center of the underinsured and uninsured to include medical, dental, social, and related services and to become a health care provider of choice for Greater Harrisburg residents. The Patient-Centered Medical Home is a care delivery model whereby patient treatment is coordinated through their primary care physician to ensure they receive the necessary care when and where they need it, in a manner they can understand. 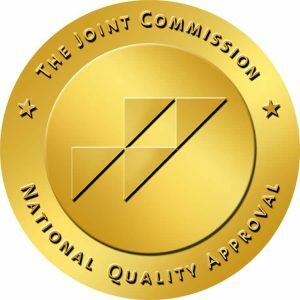 Federally qualified health centers (FQHCs) include all organizations receiving grants under Section 330 of the Public Health Service Act (PHS). FQHCs qualify for enhanced reimbursement from Medicare and Medicaid, as well as other benefits. Federally qualified health centers must serve an under served area or population, offer a sliding fee scale, provide comprehensive services, have an ongoing quality assurance program, and have a governing board of directors. 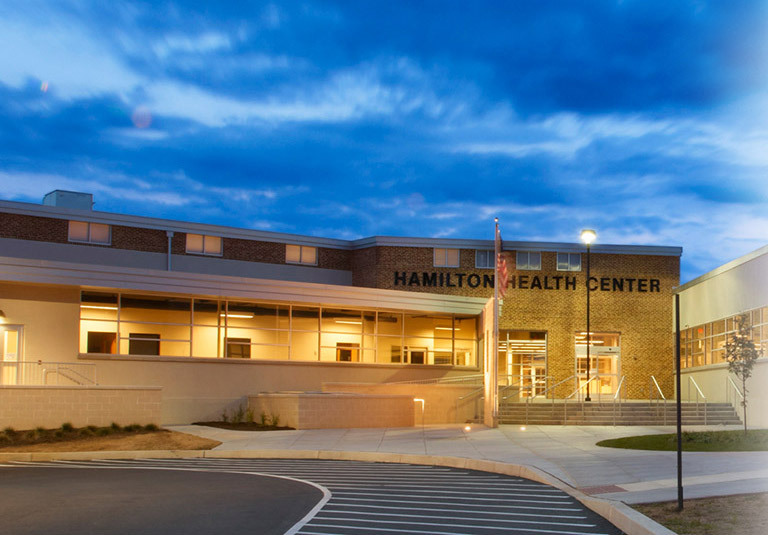 Truly a one stop “Medical Mall,” Hamilton Health Center is a primary care medical home for adult medical, pediatrics, dental, nutrition, women’s health, and related social services including WIC. We also have an on-site Medicine Shoppe Pharmacy and Quest Labs. We offer a sliding fee payment schedule, and benefit enrollment specialists to assist in enrolling patients into health plans for medical coverage. Hot jobs at Hamilton! Hamilton Health Center is a great place to work. Check out our career page for positions such as Healthy Start Director,;	Family Nurse Practitioner, Team Lead; IT Help Desk Analyst; Maternal & Child Health, Program Director;Registered Nurse, Care Coordinator and more! Preventive physical exams. We conduct preventive health exams for adults right here in our Harrisburg doctors’ offices. Schedule an appointment for yourself or a loved one, and take charge of your health. Pediatric care. Our physicians care for babies, toddlers, older children and teenagers. Women’s health services. Ask about birth control, STD prevention and treatment, pregnancy, childbirth and more. HIV/AIDS testing and treatment. Schedule an appointment and learn why getting this disease under control is more possible today than ever before. Dental care. Oral health is more than just a bright smile. Schedule an appointment with our dentist today for your checkup. Pharmacy. Make filling prescriptions more affordable with the pharmacy at Hamilton Heath Care. STD testing available. Teen Clinic open Monday-Friday 2:00pm-5:00pm on site. With three family health centers in the Harrisburg region, finding the affordable care you need is more convenient than ever before. 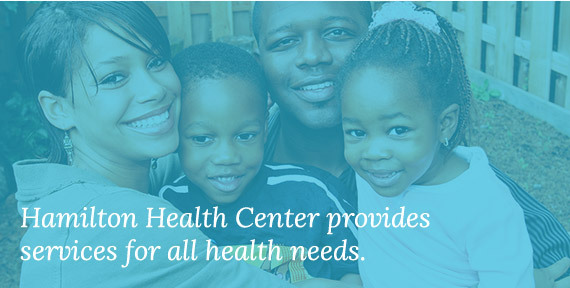 Get the high-quality health and social services you deserve at Hamilton Health Center today. Baby Love. Provides support to women that are pregnant or have a child under the age of five and are either currently still using substances and/or have less than one year of sobriety. Greater Harrisburg Healthy Start. Part of a national effort to reduce infant mortality by providing support focused on pregnant women and families with children ages 0-24 months. Services focus on improving physical, mental, and social health needs. HOPE. Get HIV testing, treatment and counseling at Hamilton Health Center. WIC. WIC is one of the most successful nutrition programs in the United States, and proudly supports at-risk women, infants and children in Dauphin County with nutrition education, breastfeeding support, and referrals.